What is an inlay or onlay? What is the process of receiving an inlay or onlay for your tooth? What is the difference between inlays and onlays versus a traditional crown? When is it better to go with a traditional crown over an inlay or onlay? Inlays and onlays in Orange County. Placing an inlay or onlay restores the damaged portion of your tooth while preserving healthy tooth structure. Inlays and onlays are conservative dental prosthesis used to fix moderately-to-severely damaged teeth. 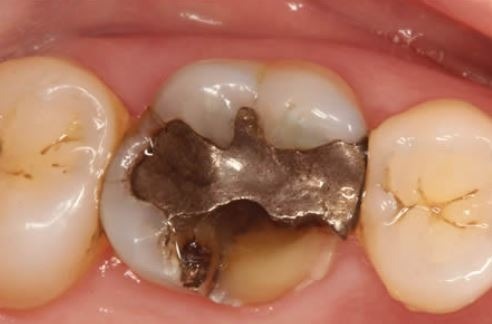 Typically, inlays and onlays are used to restore teeth which are too far damaged for traditional fillings but at the same time not so bad where they would require a full coverage crown. By placing an inlay or onlay on your tooth, you restore the damaged portion of your tooth while preserving healthy tooth structure. Inlays and onlays are both durable, natural looking and work very well in restoring damaged teeth back to their original form. Inlays and onlays are made in a laboratory from durable porcelain or ceramic material similar to a crown. 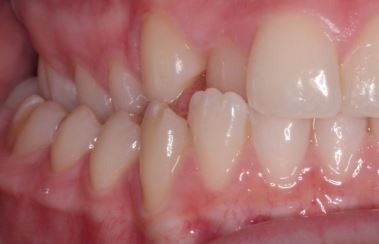 Inlays are very conservative and used to restore minimally damaged teeth. Placing an inlay does not involve removing any outer tooth structure and is fully confined within the tooth. Essentially, inlays leave your outer tooth walls fully intact, thus preserving maximum tooth structure. Onlays are larger than inlays and thus used for restoring teeth with more damage or fracture lines. Typically, an onlay extends into the outer walls of your tooth either from the inside or outside. Whereas inlays are closed to a filling in size, onlays are closer to a full coverage crown. Typically, onlays leave only a small potion of your tooth intact and cover most of the tooth structure. Inlays and onlays are far more conservative than full coverage crowns and require less tooth removal. The major difference between these is in how much tooth structure needs to be removed. Inlays and onlays are far more conservative than full coverage crowns and require less tooth removal. This makes inlays and onlays a great option for restoring minimally damaged teeth which can’t be restored with a filling. Both inlays and onlays are made from porcelain or ceramic which makes them much stronger than white fillings. White fillings are made from porous resins which can cause them to break or crack much. Plus, large white fillings frequently leak which leads to nerve damage and infection. Inlays and onlays do a much better job of protecting teeth against cavities and fracture and are far less likely to leak. When compared to full coverage crowns, inlays and onlays are far more conservative. This means that they leave more of your original tooth structure intact. Full coverage crowns require your dentist to shave the entire tooth structure above the gum line. However, inlays and onlays only require the removal of damaged tooth structure. Being more conservative has its benefits. For instance, this reduces the likelihood of your tooth requiring a root canal treatment or breaking off and needing a dental implant. Both inlays and onlays are definitive restorations which are designed to protect teeth against cavities and fracture. Plus, inlays and onlays are made from porcelain or ceramic which makes them extremely durable and fracture resistant. A well-designed inlay or onlay could easily last you decades, or even a lifetime, when properly maintained. Severely damaged teeth are better restored with a full coverage crown that protects the whole tooth. The main benefit of inlays and onlays is that they are more conservative and preserve more original tooth structure. However, if your tooth is very damaged, then placing a conservative restoration doesn’t make too much sense. Severely damaged teeth are better restored with a full coverage crown that protects the whole tooth. Placing an inlay or onlay leaves the tooth vulnerable and could lead to more damage and possibly tooth loss! Placing a full coverage crown is a much better option to protect all root canal treated teeth. Once a tooth receives root canal therapy, it becomes weak and brittle over time. This occurs because blood flow to the tooth is removed along with the nerve structures. As a result, your tooth becomes fragile and can break over time. Placing a full coverage crown is a much better option to protect all root canal treated teeth. Patients with missing teeth overcompensate by placing additional pressure onto their remaining teeth. If you have several missing teeth in your mouth, it’s always better to go with full coverage crowns instead of inlays and onlays. For one, missing teeth is a sign of failure to maintain ideal oral hygiene. 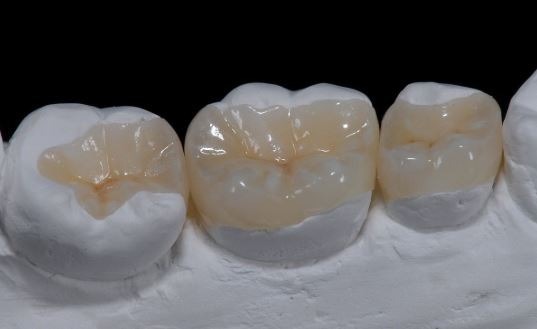 As a result, going with a stronger and more durable restoration such as full coverage crown is preferred. Additionally, patients with missing teeth overcompensate by placing additional pressure onto their remaining teeth. 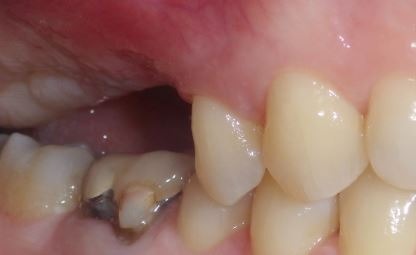 This added forces can cause teeth with inlays and onlays to fracture. Consequently, it’s always best to go with full coverage crowns if you have multiple missing teeth in your mouth. patients with a crossbite place a ton more forces onto their chewing teeth. Having a poor bite also results in added stress onto your remaining teeth. For instance, those with a crossbite place a ton more forces onto their chewing teeth. Similarly, having a class 3 malocclusion places added stress onto your back teeth. For these patients, it is typically recommended to go with full coverage crowns instead of inlays and onlays. 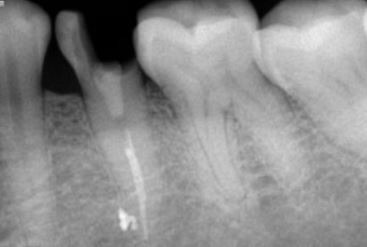 The added bite forces can stress inlays and onlays, leading to fracture of either the inlay/onlay or the tooth itself. It’s always better to go with full coverage crowns for those with heavy grinding habits. Grinding your teeth, same as with a poor bite, places additional unwanted forces onto your teeth. Those with heavy teeth grinding habits tend to fracture their inlays and onlays with time. As a result, it’s always better to go with full coverage crowns for those with heavy grinding habits. In fact, for the worse teeth grinders, it’s best to only go with extra strong BruxZir full coverage ceramic crowns. Otherwise, you could risk breaking your tooth or dental restoration in a short amount of time! We offer customized ceramic and porcelain inlays and onlays to help meet your functional and aesthetic needs.